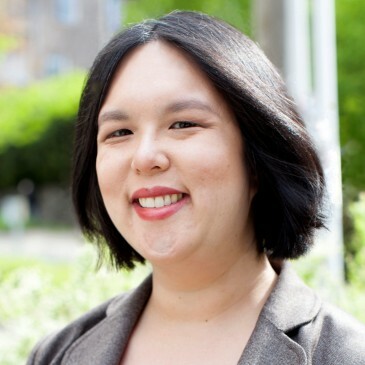 We’re pleased to publish a second guest blog post by Christina Wong, Director of Public Policy and Advocacy, for Northwest Harvest. Washington needs a Farm Bill: we are home to nearly 1 million struggling individuals who need SNAP to put food on their tables. These individuals are seniors, people with disabilities, veterans, working poor individuals, and children. SNAP helps them buy food from their local grocery store, farmers market, or farm stand. Thanks to SNAP, these individuals and families have the nutritious food they need so that kids can focus on learning, adults can be healthy to find and keep work, and seniors can be active and independent. These are the individuals that have been left behind in our economic recovery and need a Farm Bill that protects SNAP. At the same time, Washington is home to 35,000 farms, most of which are small and family owned. Agriculture makes up 12% of our state’s economy and supports 160,000 jobs. Our growers need a Farm Bill that invests in marketing promotion programs, enhances trade opportunities, and invests in rural development. In other words, Washington needs a Farm Bill, but not just any Farm Bill. Last week the Senate Agriculture Committee released their Farm Bill, and now, our delegation has before it two starkly different visions for our nation’s food system. The House bill takes food off the tables of over 2 million individuals nationwide with harmful SNAP cuts, and it eliminates key programs that help small family farms expand and diversify their business opportunities. In stark contrast, the bipartisan Senate bill makes smart and much needed investments in programs for our small, family farms and puts the emphasis on employment and training opportunities for SNAP recipients without touching SNAP benefits. The Senate will likely vote on their committee’s bill before the July 4th recess. Anti-hunger and farm advocates will be keeping a watchful eye on the process to ensure that the bill passes without harmful amendments. The House is scheduled to vote again on their Farm Bill by June 22, but timing will depend on whether they vote on an immigration package beforehand. If both bills pass out of their respective chambers, then we may be in for a long and difficult conference, that is, when the House and the Senate must figure out how to bridge the chasm between their two bills in a final agreement in order to pass a new Farm Bill. The current Farm Bill is set to expire on Sept. 30, 2018.